REDUCED 10,000! SELLERS WANT THIS PROPERTY SOLD!! South Temecula Beauty! 5 bedrooms, 3 bathrooms, including full bed and bath downstairs. Large kitchen & family room combo with stainless steel appliances, custom flooring, separate island, and corian counter tops. Upstairs you'll find a huge master suite with separate soaker tub, walk in closet, and plantation shutters. 3 additional spacious bedrooms, plus laundry, plus full bathroom also upstairs. 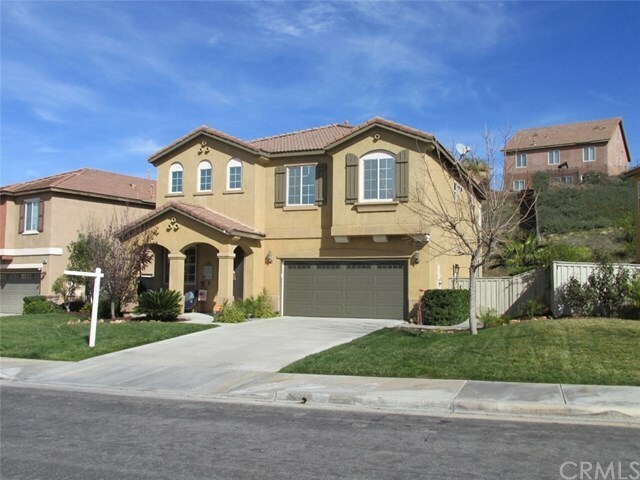 This home is less than a mile from Great Oak High School! Short drive to wine country, dining, entertainment, Pechanga resort, and the 15 freeway. Schedule a viewing before someone beats you to it!! Please click on the virtual tour buttons for additional photos.